December already? Where did 2017 go? I swear this year flew by so fast. One minute it was New Year’s Eve 2016 then suddenly it was June and my daughter was graduating and now it’s time to shop for holiday gifts. Books are always on my holiday list. I’m so proud; my youngest is taking after me. For Christmas he wants the latest Rick Riordan and John A. Flanagan books. He loves his fantasy novels. 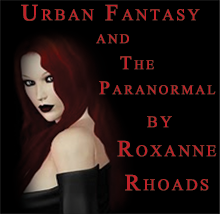 I love my paranormal and urban fantasy books. What’s on your wish list this year? Books? Bookstore Gift Cards? A new book being released this month? There are plenty of new releases in December to pick from. And here’s a book that I have been enjoying this season. I love holiday books that feature paranormal elements - but they are hard to find. This year there’s an anthology that really fits the bill. MRS. CLAUS: NOT THE FAIRY TALE THEY SAY released by World Weaver Press. This page turning collection features stories all about Mrs. Claus…and they are awesome. I love seeing what authors imagine Mrs. Claus to be- a Valkyrie, a witch, a fairy and so much more. This book is going in my permanent holiday collection. Do you know of any holiday books that feature paranormal elements? If so please let me know in the comments, I’m always looking for a good holiday read.